The digital world never gets weary to upgrade and update. So untangle the potential in your website and find visitors via search engines such as Google, Yahoo, Bing, etc. 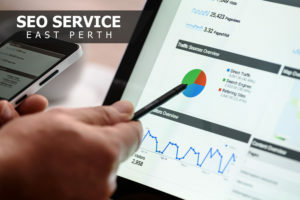 Altogether, our SEO Service East Perth leads you to this and even guides you for long term engagement in online marketing. There are over five billion searches a day through search engine for it is now accessible whenever and wherever through the introduction of mobile devices. Your competitors are also after for the latest innovation; therefore, they also utilise search engine. As a matter of fact, it is crucial to blend in with the trend and not let your site fall behind. Here in Aleph IT we don’t affiliate or subcontract with other companies. We are certified Search Engine Optimisation Specialist. We will help you increase your ROI with our proven skills. What are you waiting for? Start to generate higher revenue and higher ROI with our SEO services at low cost. Call us at +61 8 6555 6664 for more details and free quotation. This entry was posted in Aleph IT Services and tagged affordable seo services, best seo services, seo expert services, seo specialist.